Angela Joseph has been writing health-related, educational and religious articles since 2006. Her work has appeared in A Cup of Comfort for Mothers, Physiotherapy Website and Education.com. Joseph holds a B.Sc. degree in occupational therapy and has been employed in that field since 1999. Society’s preoccupation with weight loss has led to the rise of many quick-fix products and methods to lose weight. One of these is the body wrap, which is touted by some spas as a means of permanently losing weight. The body wrap is supposed to aid weight loss through the application of plastic wrap dipped in an herbal substance. This causes sweating, which is supposed to detoxify your body and help you lose weight. Sweating too much can lead to dehydration which is dangerous as the sweat does not dry, but stays on the body, raising body temperature possibly to unsafe levels. Profuse sweating also leads to changes in blood chemistry, reducing blood volume and sending less oxygen to the cells. Weakness, dizziness, confusion, coma and even death can result because of excessive fluid loss. If you are having a body wrap at a spa, your attendant may not be qualified to deal with any of these reactions. 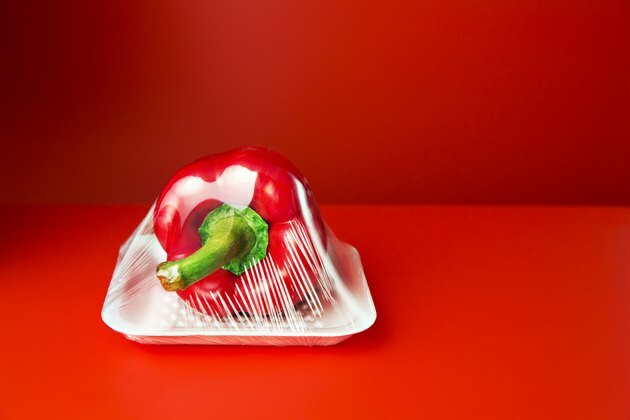 The dangers of wrapping your stomach in plastic are not limited to sweating alone. Cling wrap used for wrapping the stomach is made from Polyvinyl chloride (PVC), which has been described as one of the most dangerous consumer products. It leaches harmful substances which have been linked to negative effects on the liver, spleen, kidneys, bone formation and body weight. PVC is also linked to cancer. Some wraps are dipped in mineral products, some of which may contain aluminum, which is linked to Alzheimer’s. In addition, you may be allergic to some of the ingredients used in the wrap. Plastic wraps do not help you burn fat. All you lose is water weight, which comes right back when you rehydrate your body. You must also consider the cost factor. Some businesses that perform body wraps claim that you can have as many as four a day, others claim that once a week is fine. Prices vary; however, the average price of a body wrap in the spa is $159, and you need at least one treatment per week. If you decide to do it at home, there are kits that range from $80 to $200. Most people who report satisfaction with the results of the body wrap also go on to say that they eat a sensible diet and work out four or five times a week. Therefore, if it is necessary to diet and exercise in order to achieve your weight loss goals, why not spend that money on a gym membership, which will guarantee results, and avoid the dangers that come from having toxic plastic substances enter your skin and bloodstream? If you are diabetic, suffer from high blood pressure, are pregnant or have any medical condition, consult your doctor before using any form of body wrap. Ask a healer: Do body wraps really work? Does Wrapping Your Stomach Help You Lose Weight? Does Sweating Mean That You Are Losing Weight?